Broadcast quality abortion preparation, procedure and aftermath footage with professional lighting. 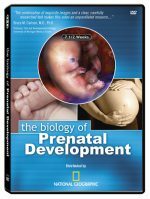 Chapter 1 contains gynecological preparation for an abortion (4 minutes), Chapter 2 shows abortions in progress (2 1⁄2 minutes) and Chapter 3 contains footage of aborted embryonic and fetal tissue (5 minutes). Produced by The Center for Bio-Ethical Reform.